SEO (Search Engine Optimization) often gets referred to a forgiving marketing subject. Being long-term in nature, SEO enables you to make a mistake and also correct it. Additionally, all your search ranks are the total of plenty of variables. Hence, you might even be able to miss a couple of them without harming your campaign efficiency. But there are a couple of essential lessons that most SEO practitioner can count on. Today, most companies want to implement the best SEO strategy for their company. And for this, they depend on either a professional SEO company or expert. Today, there are many SEO experts such as the likes of Rodney Kennedy, who people are willing to trust with their company’s SEO strategy. 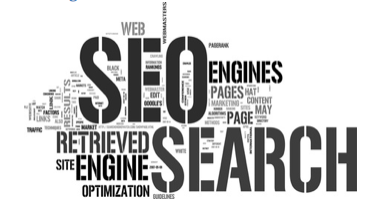 You can reach out to one depending on your SEO requirements and budget capacity. However, as you seek a professional SEO expert, discussed below are some of the essential aspects of SEO that you need to keep handy. It is important to know that you can never, ever outsmart Google. Simply put, SEO is all about having a clear understanding of Google’s algorithm and working in a way to offer improved content to the visitors. And that will enable companies to enjoy increased search rankings. However, just in case you get involved in locating certain loopholes in Google algorithm or even use “black hat” tactics to get improved rankings, it will put your company in jeopardy. Today, most newcomers are of the opinion that they can escape by making use of unwanted tactics to ride up the search engine ranking ladder. Google has its quality indicators that function excellently, and it keeps a vigilant eye on the SEO tactics that companies and individuals use. Hence, a wrong tactic used will come into notice sometime or the other. And for every wrong SEO tactic, there’s a manual or algorithmic ranking penalty that one has to undergo. It could be that you are working with one client and you have arranged it all in the best order possible! You have selected the correct keywords, generated a high-end content and also developed some of the best links to check the quick growth. And now all you need to do is get a brand-new client, for an entirely new brand and also a different set of audience. So, will you be using the same SEO strategy? Chances are no. Not every SEO strategy is meant to be similar. Each client is different. And the SEO strategy too must change accordingly. It is very tempting for the new SEO experts to make use of the same approach for most clients! But this will not yield the best results. Every new SEO campaign brings with it new challenges and expectations. Using the same strategy for all will put a lot in jeopardy. You might not get the desired results when you opt-in for a “one strategy fits all” approach with your SEO campaigns. Hence, it’s always better for SEO experts to understand an SEO campaign first and then get into the strategy making part of it. The more deeply acquainted you are about SEO, the better your technical know-how on the subject becomes. You can go ahead and discuss and make use of terms such as “robots.txt” or even “metadata” like any other SEO expert. However, when an SEO expert makes a report for his/her client, who is not aware of the SEO language, it is essential to mention and discuss all these technical aspects in a way that it makes complete sense to the client as well. Hence, the way SEO experts generally speak on and about SEO needs to change. As an SEO expert, when you go all out to brainstorm, it’s a great idea to take into consideration what the average searcher thinks and feels. As an expert, you will have to fathom the near about phrases and words that an average searcher should be using to search a selected brand. It is essential to make use of the keyword research data to denote the keywords that have substantial value. There are some of the best strategies that every SEO expert makes use of too qualitatively and quantitatively estimate the way the users might make their next searches in the future. However, most SEO experts and companies should know that not all users search the way others expect them to. Hence, there can be a couple of surprises. It means you need to manage your SEO campaign with a couple of last-minute surprises as you learn what the users are exactly searching for. You might have a content piece that got written excellently! But the million-dollar question is, how much traffic is that garnering? Have there been sufficient comments? You might feel that you have been able to develop a high-end link, but has it impacted your domain authority? And last but not the least, have you calculated the amount of referral traffic that you are deriving from it? Hence, even though you might feel that you by now know by instinct the way the campaigns get developed, it is always better to trust only that which you can successfully evaluate. SEO is always changing and so are the SEO strategies. It means, what worked for you last year, might not work for you this year. A lot varies with the Google Algorithmic changes. It brings about change in customer preferences and also their search patterns. Hence, it is crucial that you re-evaluate all your tactics from time to time, to ensure that these are relevant and can fetch you good results. Every SEO practitioner has his/her way to address an SEO campaign. However, there are a few core learning’s that always come to use. The above-discussed pointers are important learning’s that can help every SEO practitioner and experts get better in their knowledge and ability to manage an SEO campaign.